Digicult Publishing is a publishing initiative of the Digicult project, whose goal is to be active in the publication of the Digimag Journal, but also critical and theoretical essays commissioned to international authors, university thesis of special interest, publications edited in collaboration with other national and international publishers, conference proceedings and classes materials connected to educational activities, as well as peer-reviewed publications with institutional partners. Digicult Publishing uses all the tools of a contemporary dynamic digital publishing. All contents by Digicult Publishing are circulating under CC Licences: Attribution-NonCommercial-ShareAlike 3.0. Digimag focuses on all topics related to the world of digital art and culture, emphasising the diverse realities and their synergies. It provides readers with in-depth comprehensive accounts of the latest advancements in the international digital art scene and culture, through a rich spectrum of interviews, articles, reviews, reports, research and critical essays. Topics range from art on the internet to hacking and hacktivism, from audiovisual art to electronic music, from performing arts to design and architecture, from software art to social media, from art-science to video art. 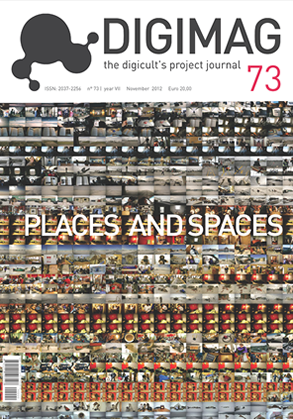 The growing recognition of the significance of Digimag’s contribution in the last 5 years, is reflected in its inclusion in major international academic Archives, Networks and institutions, including MIT WorldCat, Schweizerisches Institut für Kunstwissenschaft SIK-ISEA, Zürich, Switzerland and Rhizome. The birth, growth and development of spaces open to the creative and experimental use of Media and Digital technologies have affected the production and dissemination of contents, have enriched the art system and its boundaries, have provided new methodologies of production, modes of art display and creative practices (and the daily work of individuals engaged in the field). These groundbreaking practices span visual art and design, science and technology innovation, social studies and polit àics, ecology and economy, music and architecture. The context where they take place is hybrid: hacklabs and bureau of research; mailing lists; virtual and physical exhibition spaces; media centers and museums. This call for contributions wishes to assess these emergent places of innovations and this rich proliferation of research, critical thinking and radical praxis based on horizontal cooperation. - How have the reciprocal relationship between spaces, research and creative/artistic processes been transformed? Is it possible to map the historical contexts that gave rise to spaces involved in creative practices based on Media? - How to describe, from a critical perspective, the tension between public and private, institutional and independent space? - What kind of economies have emerged from these spaces working with new media creative practices? What are the links (if any) between these spaces and contemporary art, culture markets and immaterial culture and the city? The institutionalization of independent spaces and their long term development has been in most cases supported by public fundings. Given the recent cuts, what new strategies of survival are available? - How has Media culture affected mainstream culture and its spaces? And in turn, how have spaces been affected by issues of production and dissemination of art and knowledge? Are there new objectives and strategies to be followed by spaces and institutions involved in these fields? - What spaces could (and can today) be considered most relevant to the development of production, exhibition, research and archiving of Media Art? How are methodologies and practices of archiving, preserving and disseminating Media Art evolved? What displaying techniques created by institutional and independent spaces can be considered the most significant and experimental? - What spaces could (and can today) be considered most relevant to the development of production,exhibition, research and archiving of Media Art? How are methodologies and practices of archiving,preserving and disseminating Media Art evolved? What displaying techniques created by institutional and independent spaces can be considered the most significant and experimental? Digicult Publishing is a publishing initiative of the Digicult project, whose goal is to be active in the publication of the Digimag Journal, but also critical and theoretical essays commissioned to international authors, university thesis of special interest, publications edited in collaboration with other national and international publishers, conference proceedings and classes materials connected to educational activities, as well as peer-reviewed publications with institutional partners. Digicult Publishing uses all the tools of a contemporary dynamic digital publishing: the print on demand (POD) approach through the Digicult Edition platform on Lulu (http://www.lulu.com/spotlight/digiculteditions), the electronic publication initiatives according to The International Digital Publishing Forum (IDPF) standards through the Online Shop on Flows (http://www.flows.tv/digicultshop), always giving the chance to join all the prevwievs through the Digicult Library on Issuu http://issuu.com/digicultlibrary). All contents by Digicult Publishing are circulating under CC Licences: Attribution-NonCommercial-ShareAlike 3.0. With texts by Mirian Real Arci, Lucrezia Cippitelli, Adolfo Cabrera Perez, Minerva Romero Regalado, Connecting Havana is a research and educational project developed in Havana (Cuba) between September 2010 and September 2011, curated by Lucrezia Cippitelli with Miguel Petchkovsky/TIME_FRAME/Netherland Media Art Institute. The project has been developed as a long-term research and educational program, focused on time-based and media art from a South/South perspective. Focusing on time-based and media art as tool of self-representation and critical process of creation and participation, Connecting Havana had the chance to visit and involve local creativity, discovering a local context of artists and producers who use the languages of contemporary creation as tool of social interaction, political intervention, cultural critique. Not calling themselves dissidents, not questioning the revolutionary history of the Country, sometimes working within or with institutions. This publication is not a simple documentation of the process, but primarily aims to introduce the work of the artists who participated: a general survey of critical perspectives on contemporary art practices in Havana from the very last years. The work presented here proposes a theoretical model to document audiovisual live performance in collaborative environments. Given its ephemeral features (as flux) and not objectual (or stable), vive audiovisual performance puts to the front peculiar questions regarding contemporary documentation. 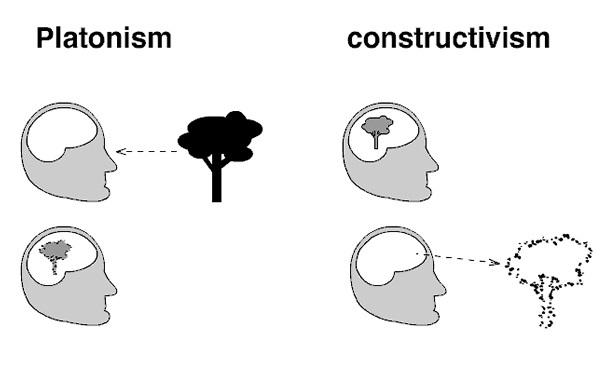 The formulation of a conceptual documentation model develops from a historical and theoretical framework that defines the identity of the practices, the artists and community through dynamics of affectation. The model, unique and specific, serves the purpose to document the creative process, the performative moment and community gatherings.